“The appellant seeks your kind permission to move application under Rule 27 of the Appellate Tribunal Rules 1963 to support the order under appeal. The Ld CIT (A) has allowed the relief to the respondent assessee on merits deleting the additions of Rs 83,41,500/- after considering the facts of the case. The Ld CIT (A), however, has not allowed the legal submission of the appellant that in the absence of the incriminating material found in the course of search u/s 132 of the Act, the AO is not entitled to make addition where the assessment of the appellant had not abated under second proviso to section 153A of the Act. “That on the facts and circumstances of the case, the Commissioner of Income Tax (Appeals) has erred both in law and on facts in confirming the proceedings initiated under Section I53A of I.T. Act, which Is bad in Jaw in the absence my incriminating material belonging to the assessee being found during the course of search”. The respondent assessee seeks to support the order of the Ld CIT(A) under above Rule as this ground has been decided by the Ld CIT (A) against the into pages 6 to 10 of the order of Ld CIT (A) in Appeal for AY 2006-07 which is the order followed by the Ld CIT(A) in the assessment year under consideration. 2. Ld. counsel for the assessee also supported the order of Ld.CIT(A) on merits. Ld.CIT (Departmental Representative), (in short “CIT DR”) who appeared on behalf of the Revenue supported the order of the AO. 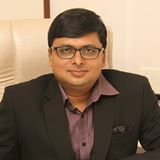 He also relied on the precedents in the cases of E.N.Gopakumar vs CIT  75 taxmann.com 215 (Kerala); CIT vs Raj Kumar Arora  52 taxmann.com 172 (Allahabad)/  367 ITR 517 (Allahabad); CIT vs Kesarwani Zarda Bhandar Sahson Alld. [ITA No.270 of 2014] [Allahabad]; Cit vs St.Francis Clay Décor Tiles [385 ITR 624]; and Smt. Dayawanti vs CIT [75 taxmann.com 308]. The Ld. counsel for the assessee replied with the submission that the order of Jurisdictional High Court in the case of Kabul Chawla (supra) is a stronger precedent as compared to orders of non-jurisdictional High Courts. Further, he submitted that the case of the assessee is distinguishable from the case of Smt. Dayawanti vs CIT (supra) because, unlike in the case of Smt. Dayawanti vs CIT (supra), in the instant case there was no incriminating material or evidence (whether by way of statement or document or asset etc.) against the assessee unearthed as a result of search u/s 132 of I.T.Act relevant for any of the assessment years. The Ld.CIT DR did not dispute the fact that there was no incriminating material or evidence (whether by way of statement or document or asset etc.) against the assessee as a result of search u/s 132 of I.T.Act relevant for any of the assessment years. i. Once a search takes place under Section 132 of the Act, notice under Section 153 A (1) will have to be mandatorily issued to the person searched requiring him to file returns for six Ays immediately preceding the previous year relevant to the AY in which the search takes place. ii. Assessments and reassessments pending on the date of the search shall abate. The total income for such AYs will have to be computed by the AOs as a fresh exercise. iii. The AO will exercise normal assessment powers in respect of the six years previous to the relevant AY in which the search takes place. The AO has the power to assess and reassess the ‘total income’ of the aforementioned six years in separate assessment orders for each of the six years. In other words there will be only one assessment order in respect of each of the six AYs “in which both the disclosed and the undisclosed income would be brought to tax”. v. In absence of any incriminating material, the completed assessment can be reiterated and the abated assessment or reassessment can be made. The word ‘assess’ in Section 153 A is relatable to abated proceedings (i.e. those pending on the date of search) and the word ‘reassess’ to completed assessment proceedings. vi. Insofar as pending assessments are concerned, the jurisdiction to make the original assessment and the assessment under Section 153A merges into one. Only one assessment shall be made separately for each AY on the basis of the findings of the search and any other material existing or brought on the record of the AO. 4. In the instant case, the additions have been made by the AO despite the fact that there was no incriminating material (whether by way of statement or document or asset, etc.) unearthed during the course of search relevant for any assessment year. Also, no proceedings were pending for this assessment year on the date of search. In these facts and circumstances, we are of the considered view that the matter is squarely covered in favour of the assessee by precedent of Hon’ble Jurisdictional High Court in the case of Kabul Chawla (supra). Respectfully following the decision of the Hon’ble Jurisdictional High Court in the case of Kabul Chawla (supra), we hold that in the absence of any incriminating material unearthed during the course of search, the AO had no jurisdiction to initiate proceedings u/s 153A of the Act when no assessment proceedings were pending for this. Assessment Year on the date of search. Accordingly, we hold that the assessment order dated 29.12.2011 u/s 143(3) r.w.s. 153A of the I.T.Act and the additions made therein were without jurisdiction. Hence, we annul the assessment order dated 29.12.2011 u/s 143(3) r.w.s 153A of the Act. Consequently, the additions made in the assessment order have no legs to stand. Thus, we dismiss the appeal of the Revenue on jurisdictional issue. We wish to clarify that we have not expressed any opinion on the issue of merits of the addition made by the AO because we have already dismissed the appeal of the Revenue on jurisdictional issue and, as a result of which the issue of merits of the addition does not require adjudication being purely academic.